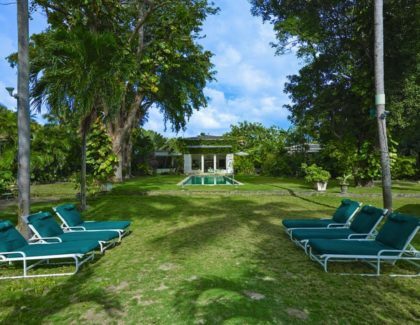 A stay at Nelson Gay unveils six decades of charm and sophistication presented on two acres of mature and immaculately lush gardens. 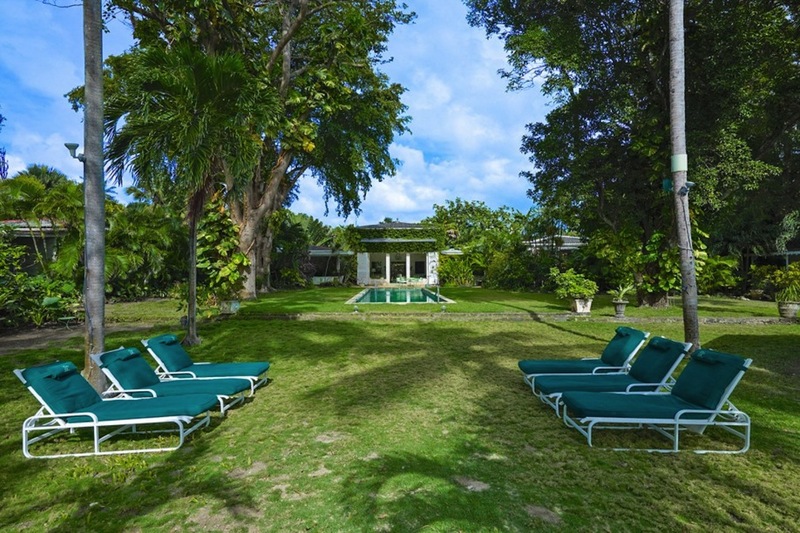 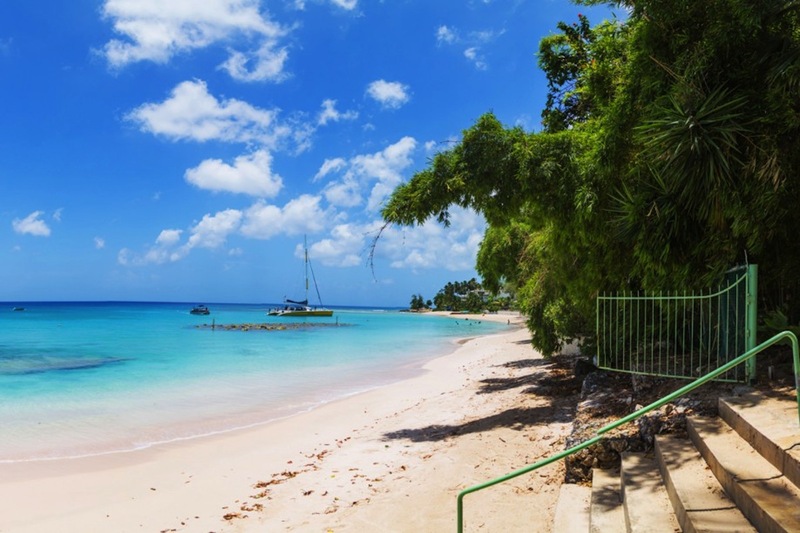 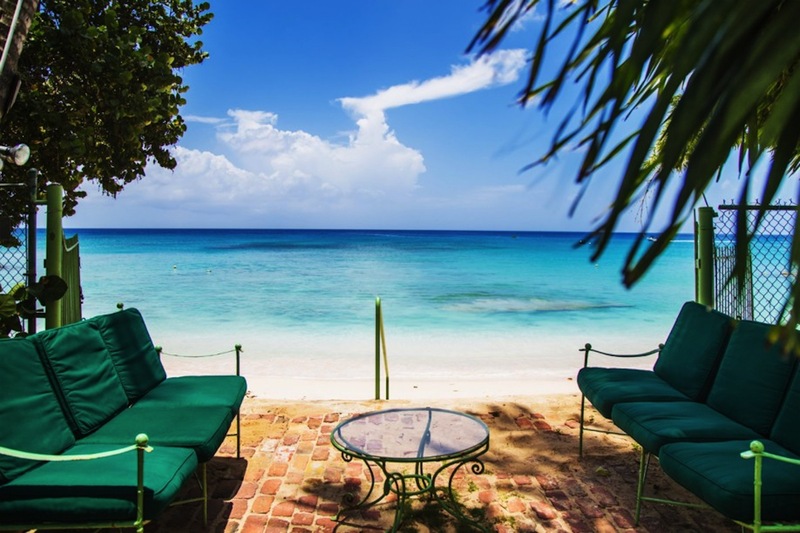 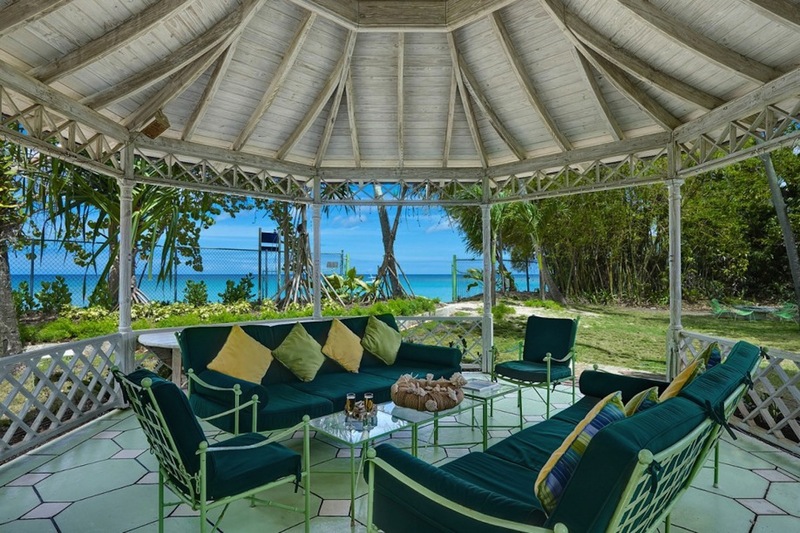 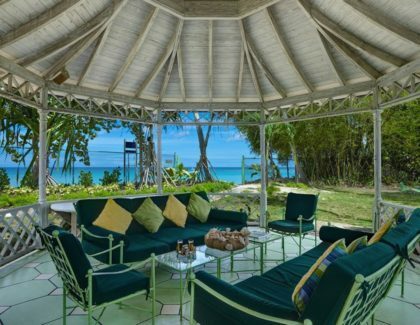 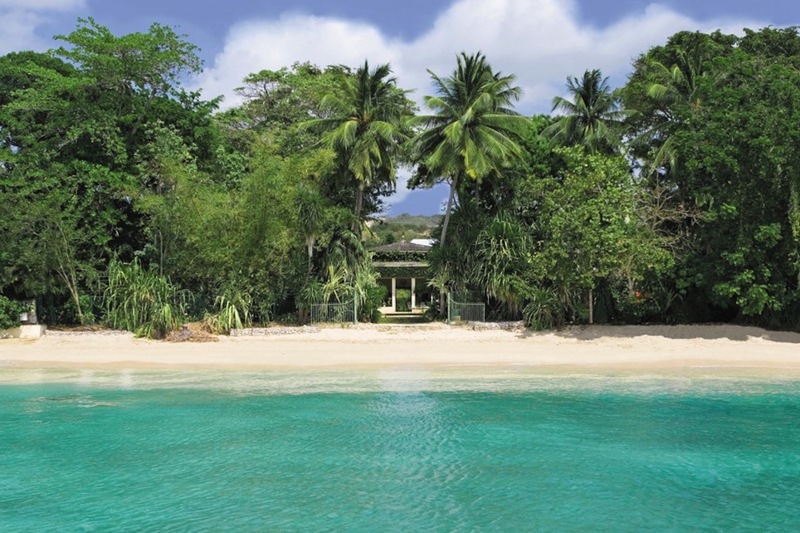 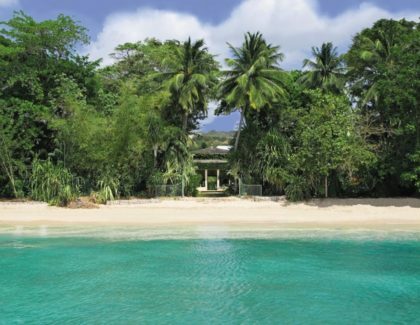 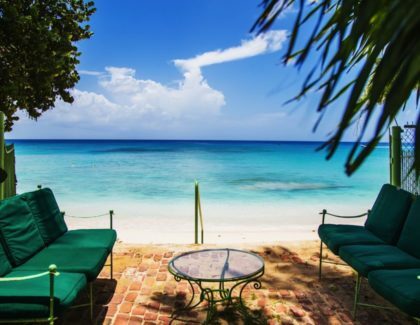 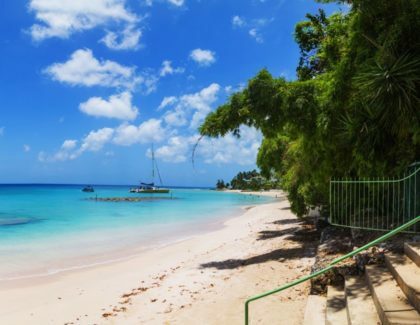 Located on a beautiful half-mile of beach on the outskirts of Speightstown, its surrounding waters and reef are a playground for swimmers and snorkelers. 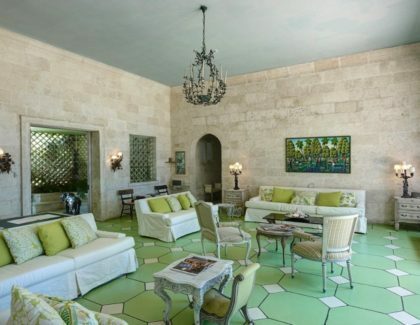 The purely coralline creation was originally built as the home of a United States Ambassador in the 1950s, and reflects a Palladian grandeur with 14-foot ceilings in the living room. 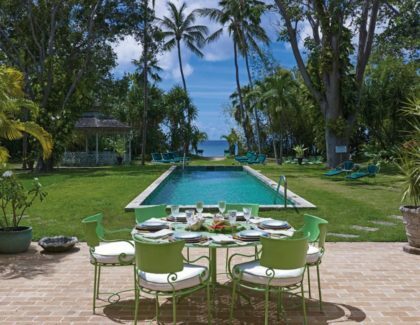 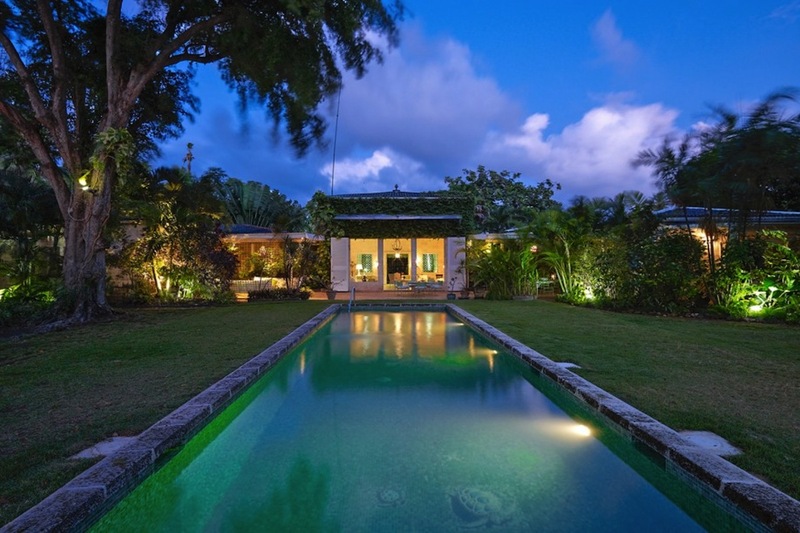 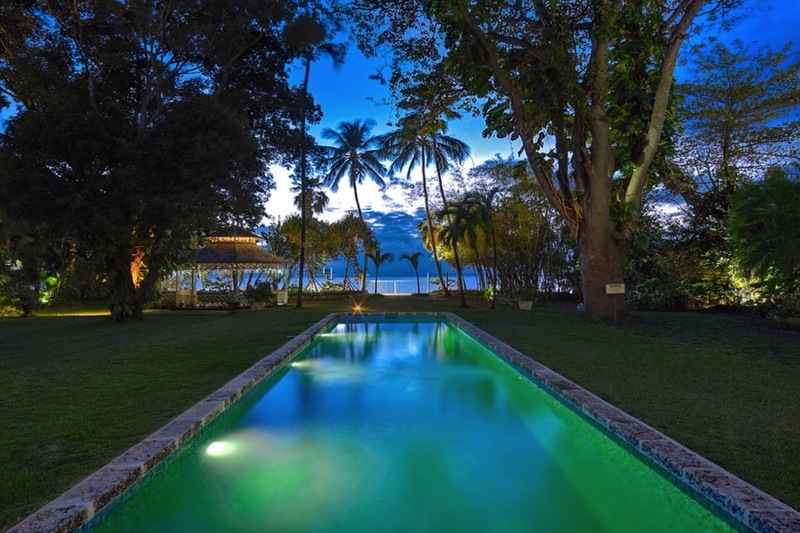 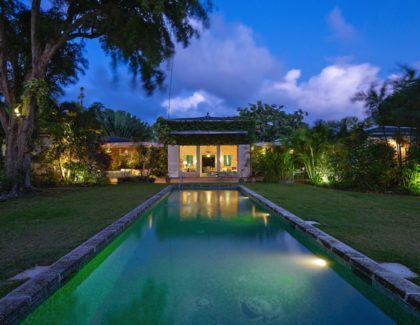 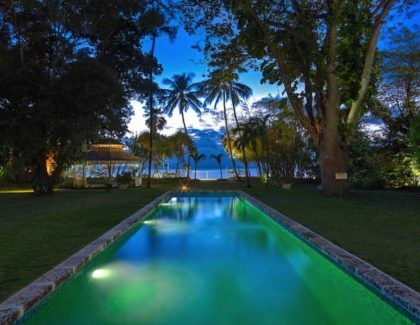 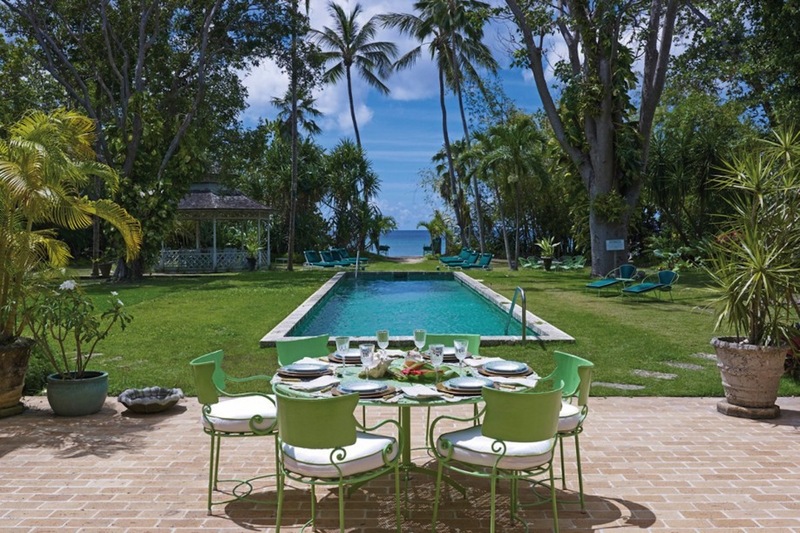 To add to this, the villa’s stunning 50-foot pool features testudine décor, and is positioned like a path from the centre of the house that summons the sea on its farthest end. 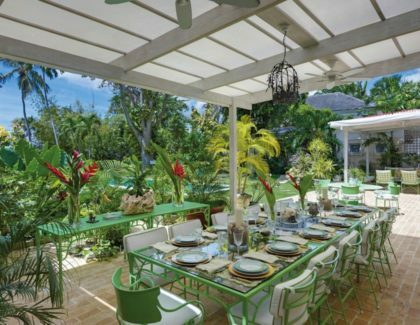 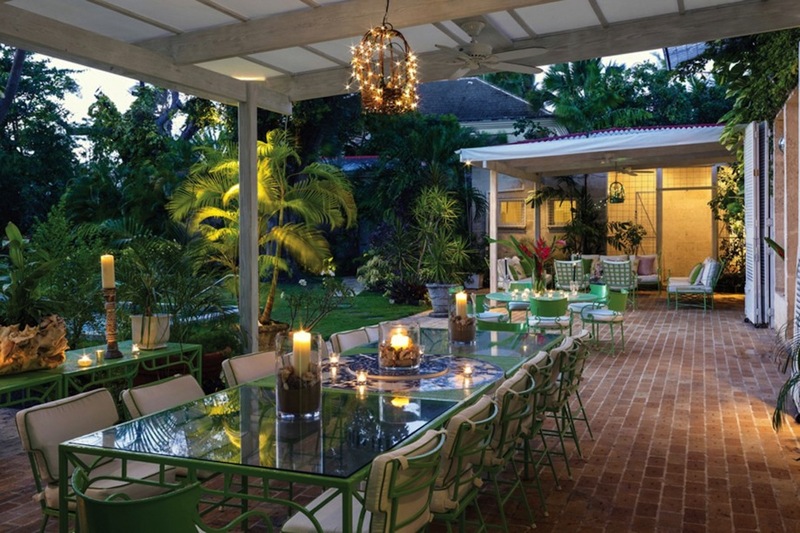 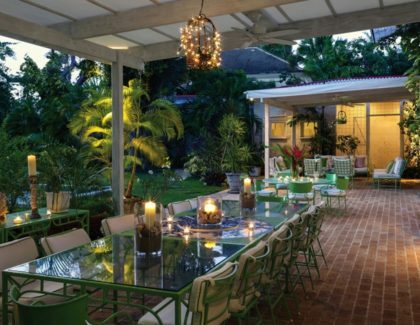 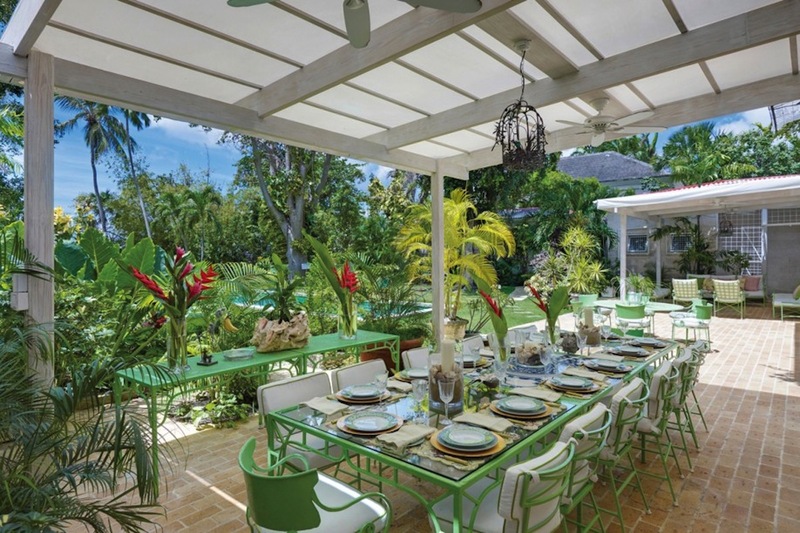 This family-friendly villa has a bounty of restful spaces and formal or al fresco dining areas, including a delightful option to dine by candlelight. 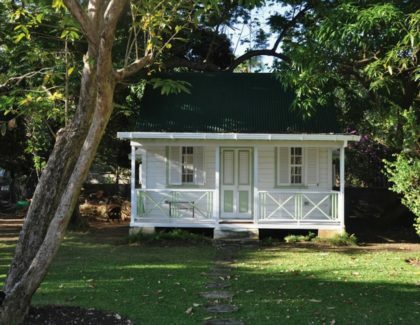 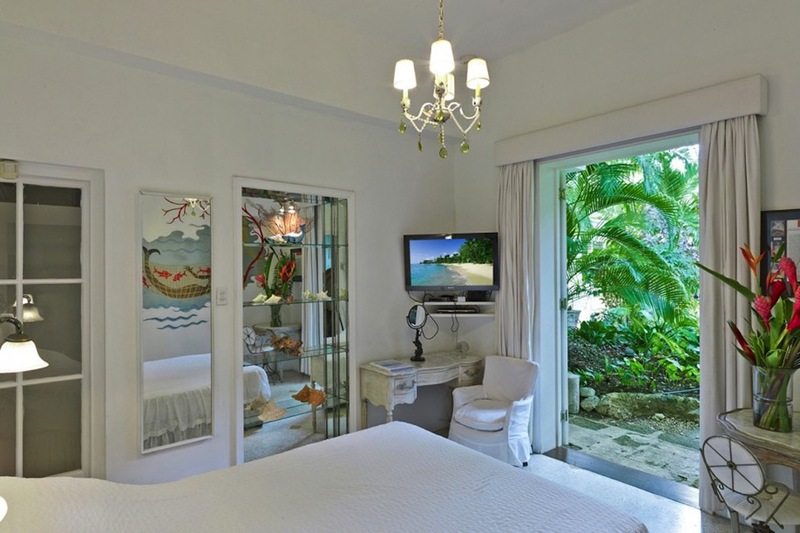 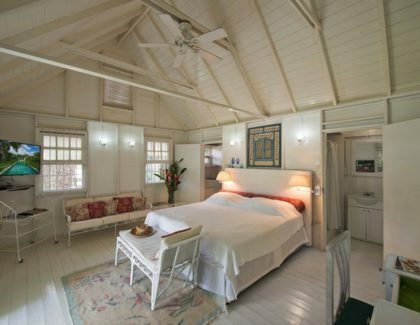 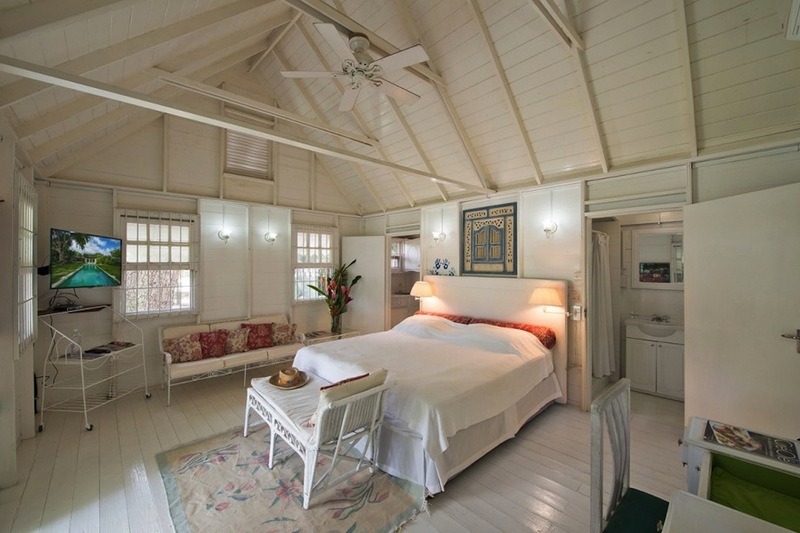 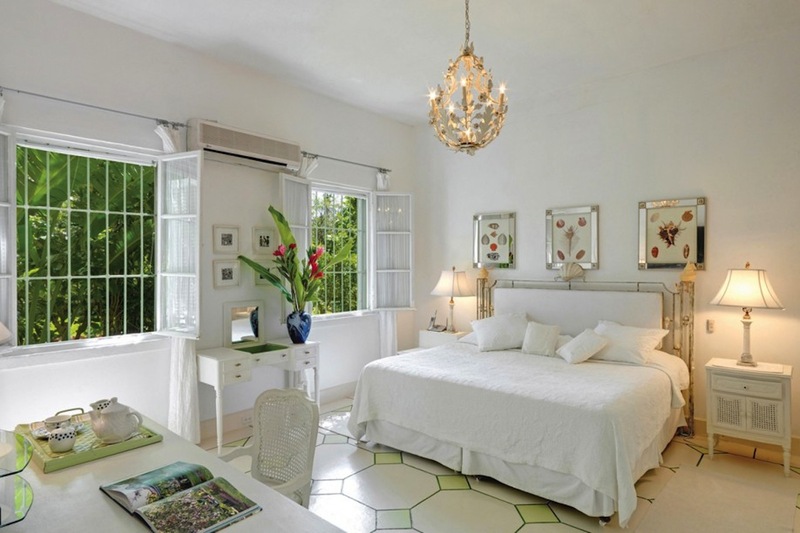 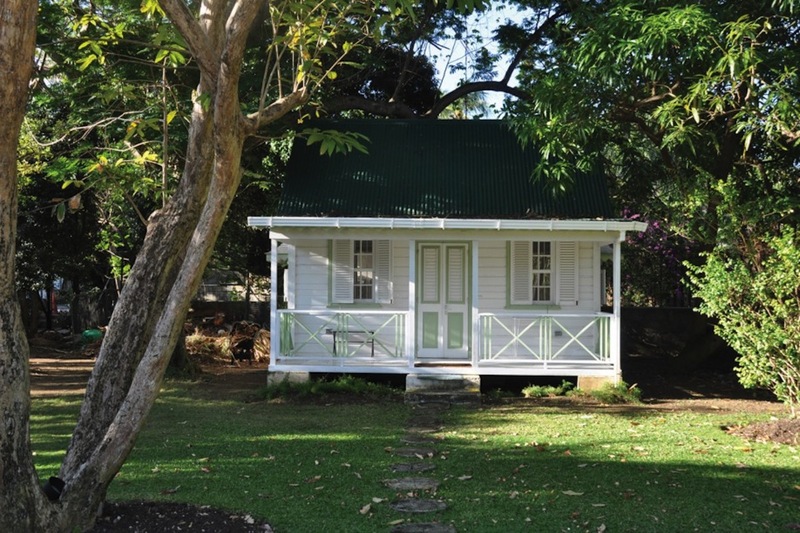 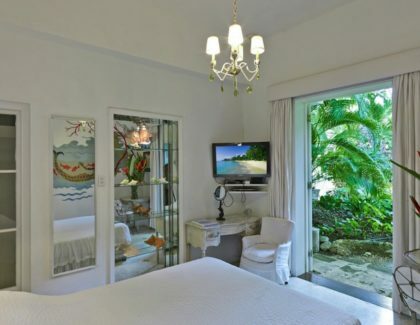 The dwelling features a predominantly white canvas – a compliment to the tropical landscape – and is accentuated with several unique pieces and antiques. 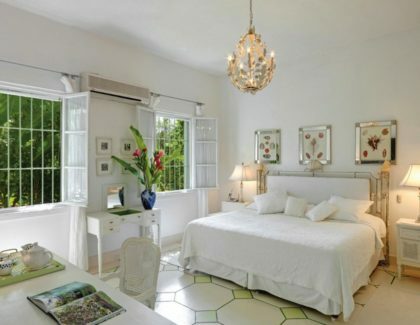 The sleeping quarters are remarkably fresh and airy, with comfortable beds, quality cotton sheets and hypoallergenic pillows. 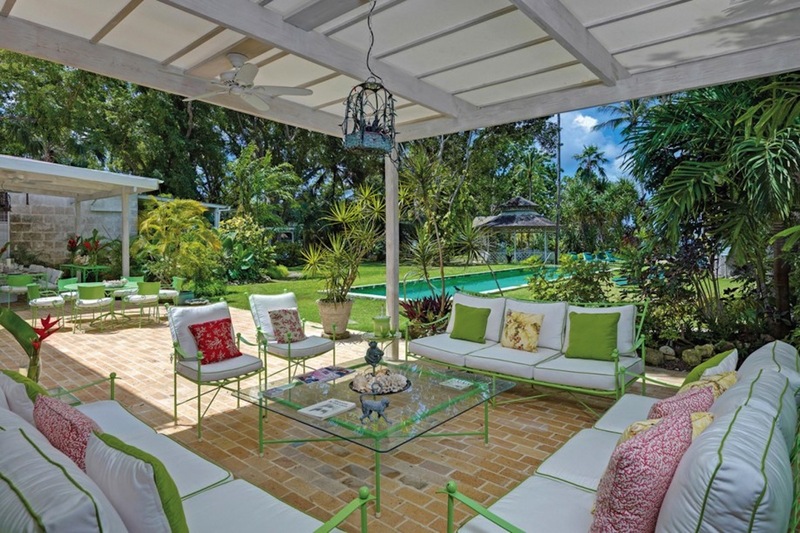 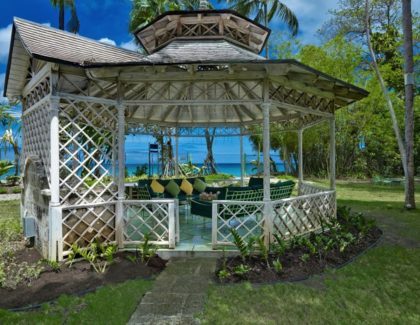 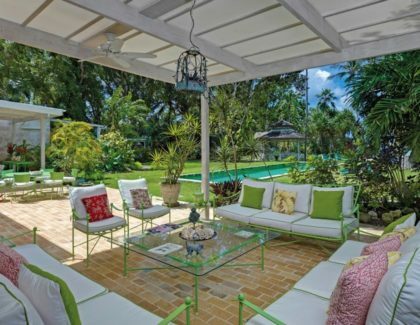 Further outside is two charming chattel houses and cottage, as well as an elegant garden gazebo complete with a wet bar. 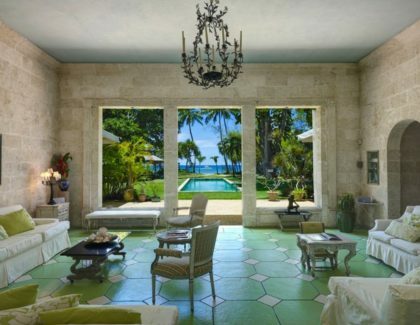 Two covered terraces on the north and south wing bedrooms offer additional privacy and comfort, while on the seaside, a large area in front of the house is roped off with buoys for safe swimming. 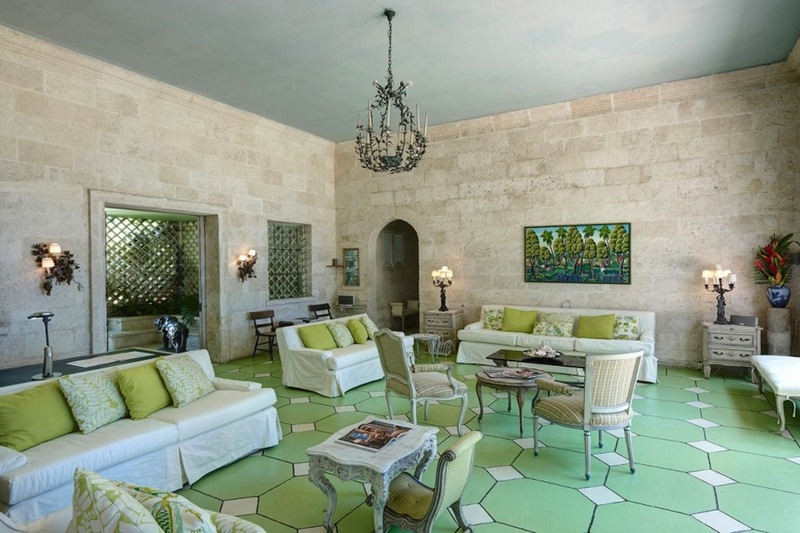 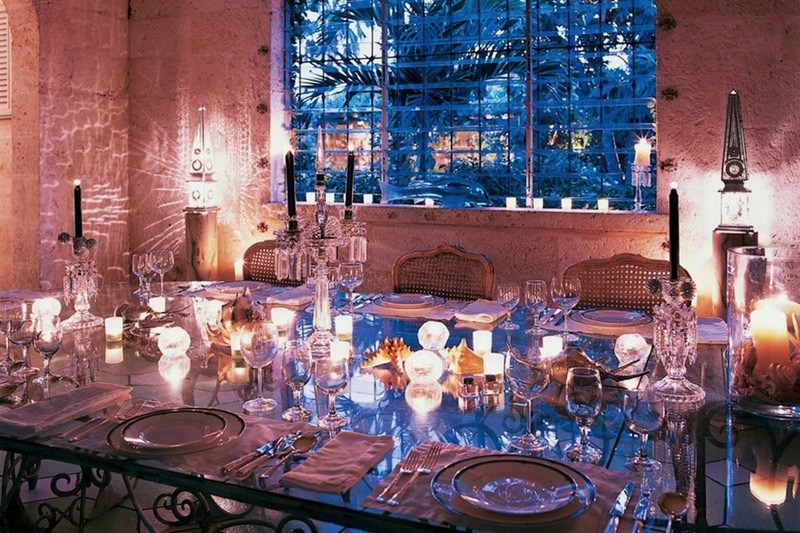 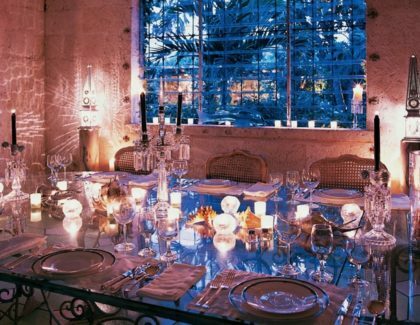 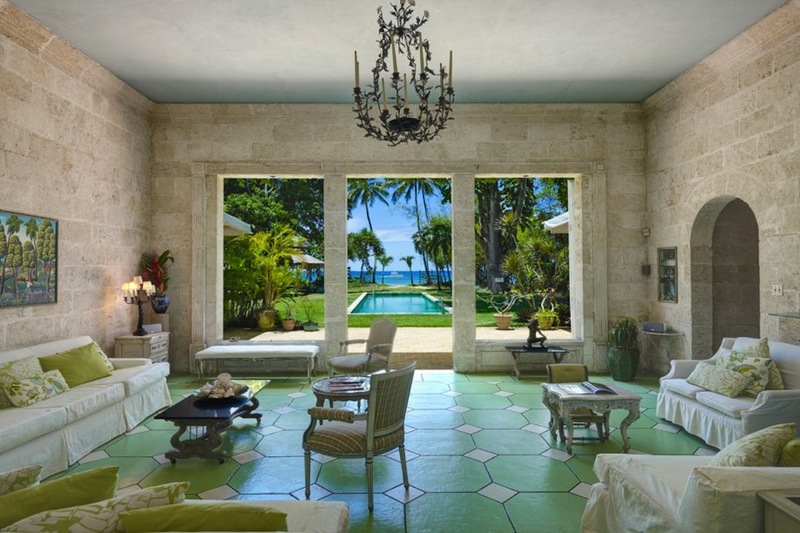 By special request, the villa is transformed to accommodate 18 guests. 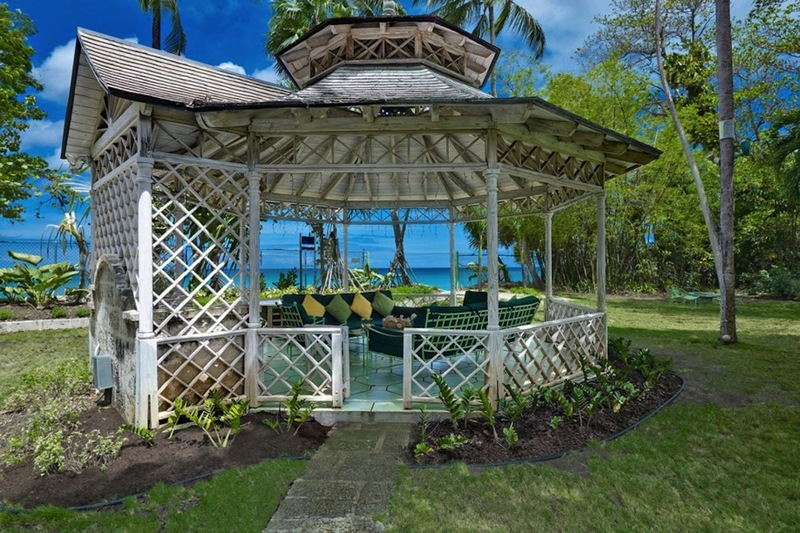 Rates quoted include core staff* but excludes food, drink, 7.5% Barbados VAT (subject to change) and gratuities.